Photo of: East Coast of Ireland: Meath: Slane. A view of the old Mill at Slane. The river Boyne runs in front of it and was used to power the mill by two large water wheels. 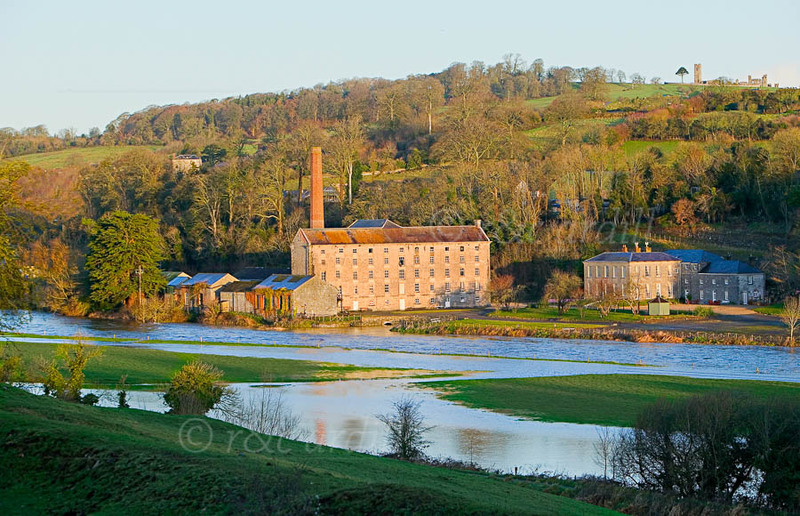 The mill, constructed in 1766, was the largest mill in Ireland in its day. It was the first of a number of large mills, reflecting the remarkable degree of economic development the country had attained at that time. To the right of the mill is the Millhouse, originally built for the mill manger. It is now a hotel. At the top right of the photograph can be seen the ruins of Slane Monastery at the top of the Hill of Slane.